Upon relocating I found myself working for the same company, and in the video game biz, yet again. Soon my enthusiasm returned, and when you're surrounded by games it's hard not to start buying them. I was happy to finally come upon a console game that took its story seriously and thus found a new subject for my gaming affection. Atlus had brought us Persona and Persona 2 before this, which I enjoyed as being fascinating Japanese adventures. 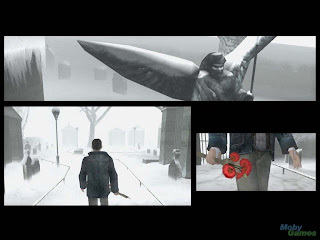 It must have been these previous familiarity combined with a love of the new art style that was put forth in the next Shin Megami Tensei: Nocturne. 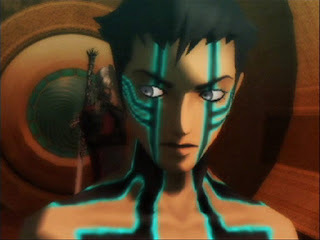 The mechanics had some similarities to the Persona games, and as I was otherwise uninitiated into the full-fledged SMT universe, I grew to love Nocturne. Like I said, I loved the art style, and the presentation of the game was beautiful. The story of the game also had some fantastic elements, such as the destruction of the world occurring within the first ten minutes of the game. Nocturne almost seemed to try and blend the necessity for choosing a path from Gothic, while adding some of the choice variables of KotOR. The result was a sufficiently complex story with multiple outcomes. In essence, Nocturne called for an adaptation of a philosophy on the part of the player in order to determine the ending. As I come closer chronologically to the present, only a few games remain that have made it into this list for me. Since Nocturne is a fairly recent title, there isn't much left after it that has made a significant enough impact in terms of storytelling in my world. Though there are a few more games that fit the bill. One of these pleasantly surprised me, and not very long after my enjoyment of Nocturne. I suppose "surprised" would be an understatement. I think it more appropriate to say I was sneaked up on and smacked from behind by this game from French developer Quantic Dream. Yes, you know what I'm talking about. Indigo Prophecy, known as Fahrenheit in Europe, came out completely without me knowing about it. That is, until I opened a shipment box one morning and saw the game in it. I was ecstatic when I realized it was by the creators of Omikron. The game swept the magazines and websites with rave reviews. I had soon acquired a copy of it, but only got to play it for a short time before another move interrupted my gaming adventures. Many months later, after things had tried and somewhat succeeded in normalizing themselves, I would play this game again. That time it was for real, with the iron resolve of finishing it. 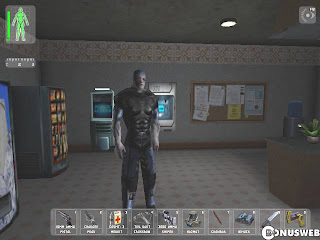 Check out my Indigo Prophecy post here. 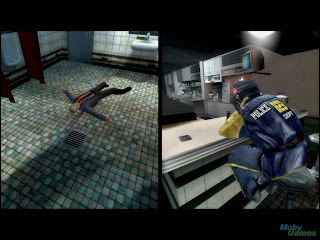 Indigo Prophecy also took to heart the importance of grabbing the players attention from the get-go. It did so quite well. And as the story was essentially the most important aspect of the game, which is a rarity these days, I was thrilled to have that wanting-to-know-what's-next feeling of days gone by again. I was diligent in my playing of Indigo, and finished it with that bittersweet feeling you get at the end of a great story. Most recently I have been looking closer at the independent gaming scene. I believe that this is where innovation is more likely to come from than the big companies and their trite franchises. Among the indy games that use story as the primary aspect of the experience I came across a game which has been around for probably some time now. 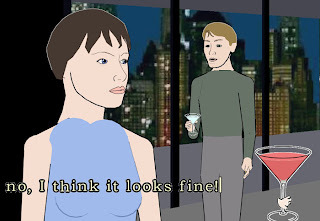 It’s called The White Chamber, and the package delivers a classic point-and-click adventure. What makes its story worth noting is that neither you nor your main character know what the heck’s going on. 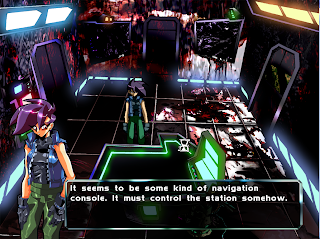 Harkening back to the days of System Shock 2, The White Chamber creates a great deal of dramatic tension as you piece together what has happened to you and the vessel that you find yourself on. The White Chamber deserves an honorable mention to be sure, but due to its brief play length falls a little short of a full award. Another honorable mention goes to a game, or interactive drama, called Façade. This one is perhaps more innovative in its delivery of a narrative than any other game. Although the experience is brief, it’s never the same. I’ve gone through it about four times I think, and each time the story was quite different. It’s almost like a different take on Seaman. Façade has you interacting with a married couple in the role of their long time friend. You play the game primarily by typing your responses and questions, much like a real conversation. The drama unfolds all depending on what you say and do, and thus is very dynamic. Not something that has been done in any other game to this degree that I am aware of. Now if only this technology could be incorporated into the narrative of a larger game and its world. When Gamasutra posted their Quantum Leap Awards for Storytelling, I was somewhat surprised to see that Deus Ex made number one on that list. That got me to thinking, and remembering, how I could never get into that game. I dusted off the jewel case and threw it in my PC. I thought that, surely, there must be something I’m missing. Very soon I found myself running into the same problems of apathy in Deus Ex. I am currently still giving it a chance, but the going is slow. One thing’s for sure, Deus Ex has no initial hook. I am hoping a few more missions in I will be more enthused about it. 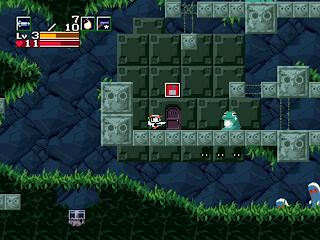 In the meantime, I am also playing Cave Story and the re-released and improved Another World (initial thoughts here). I suspect that when I get through those three games, at least two of them will be moving into this hall of fame for my personally most significant games in terms of storytelling. Until then, I hope I haven’t bored you to tears, but rather that you have enjoyed my somewhat different account and perspective. In summary, the games which get the oh-so-prestigious Mentis Award for Storytelling are Shin Megami Tensei: Nocturne and Indigo Prophecy. Honorable Mentions go to The White Chamber and Façade. Now that I am done, I’d love to hear what games have made the top of your personal list for storytelling.